Career Development Plan- How to catch up in ballet? My name is Avery (I'm a girl) and I just tired 13.I don't know if you'll see this but here goes; I recently became very passionate about ballet. I decided to take an adult beginners workshop (one class a week) at my local company (Ballet Austin). I love ballet so very much. I can't imagine not doing it. I'm a very expressive, and determined person and I feel like I can breathe when I'm in ballet. I feel beautiful when I dance. I have so much motivation to get going! I feel like I have the dedication and tenacity down I just need the opportunity. To have a career in ballet would be ideal. But I need to figure out a few things first. I know of ballerinas who started late (Misty Copeland, Melissa Hamilton, etc.) but they all had private lessons. I am limited time wise and financially. The academy is very expensive. I would start saving up now but I still don't know if it'd be worth it. My parents have been very encouraging but money holds me back. I just really need some professional advice and guidance right now. My questions are; what immediate steps should I be taking if I want to start taking ballet seriously? Do I even have a chance? is running out and I need to take action very soon because at 14 it gets a lot more competitive. To: - Career Development Plan- How to catch up in ballet? Thanks for your message it's great to hear from you, I'm glad you contacted me. I love your enthusiasm for ballet and it is great to keep up this energy for all aspects on your life and to continue this positive attitude to achieve your goals. You have all the right ideas in mind and you would need to increase your ballet training to take it more seriously. You want to be studying in a place that can support your vision and is able to guide you through the steps. If money is a problem, which I know it is for many young dancers including myself when I was training, you would need to look at scholarships and funding which was one of the only ways I was able to afford ballet training. You do need to take action in order to have a ballet career, but it is very tough even for the talented dancers who are lucky enough to already be in serious training. You want to keep all your options open, so don't think forget about your academics, but make sure you really explore where to study for the long term too. Ballet Austin sounds like a great environment to be in and the academy is the sort of place you want to aim to be training, as well as other vocational dance schools in America. I have so much to say, but these are my main points for now. 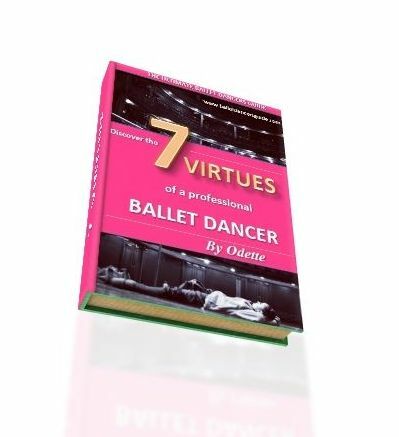 If you want to see the clearest guidelines on how to become a dancer and what you need, then make sure you look at my eBook "7 Virtues of a Professional Ballet Dancer". I wrote this book especially for dancers like you who are asking for advice and need guidance to answer your questions and fulfil your ballet passion, so please take a look!